Things are getting a bit spooky around here today with Uber Chic Halloween 03! 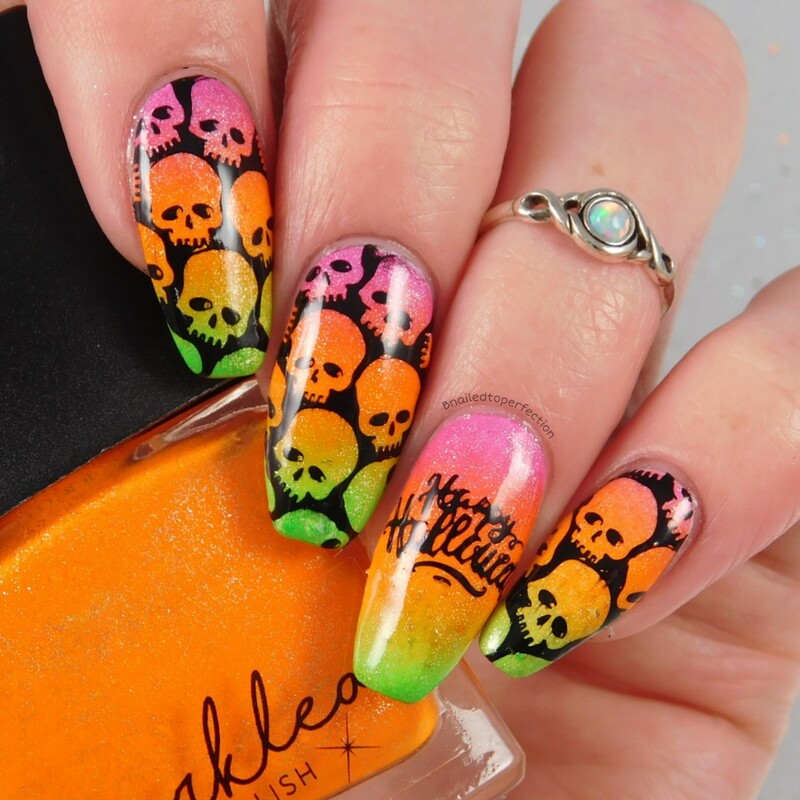 Yes I know it's only September but that gives you plenty of chance to go get this plate from Nail-Artisan and start doing those Halloween designs. Look how awesome this plate is!! So many cool images and I love all the layering options. For my first mani I went with a neon gradient and I loved this one!! I used some colours from Spaklea's Carnival collection. They have been a favourite of mine this year. I used, Ghost Train, Hot Dog and Ferris Wheel. 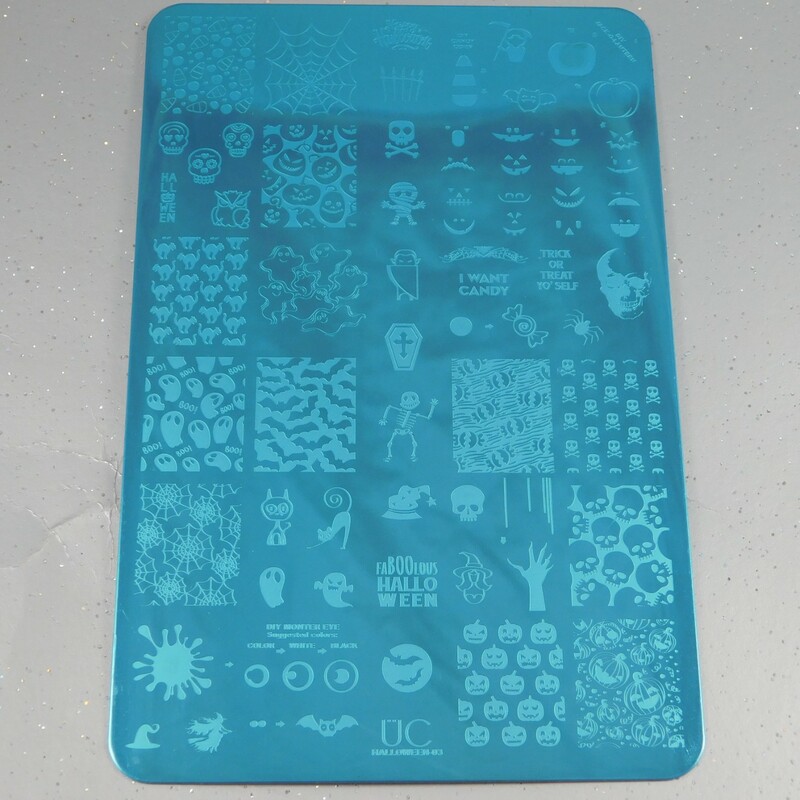 I then stamped some cool reversed out skulls and some wording. 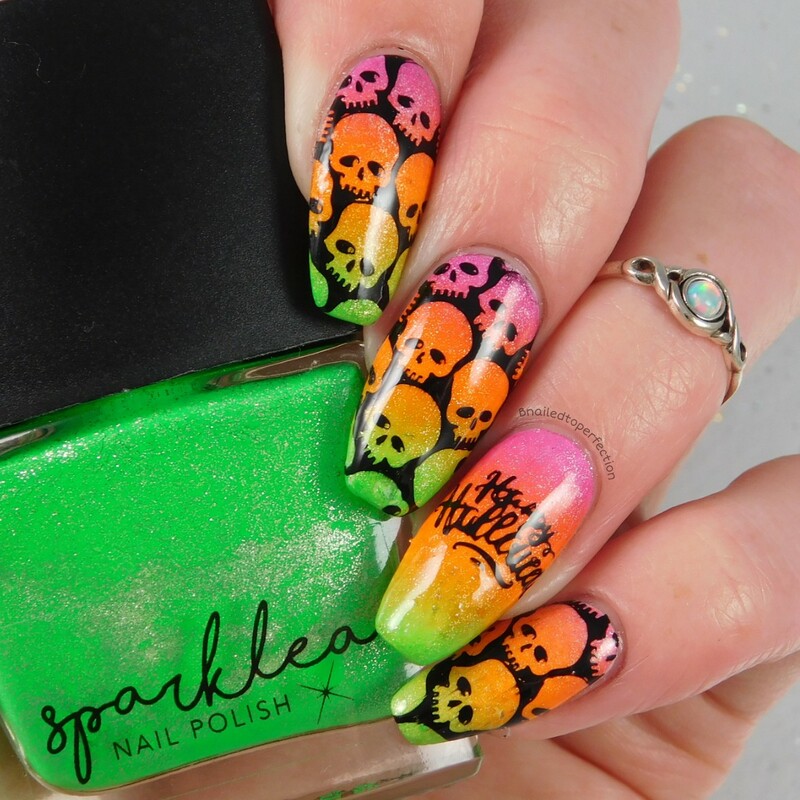 Now, don't all throw rotten apples at me *ducks* but I'm not really a Halloween person, however, I would totally wear these for Halloween!! 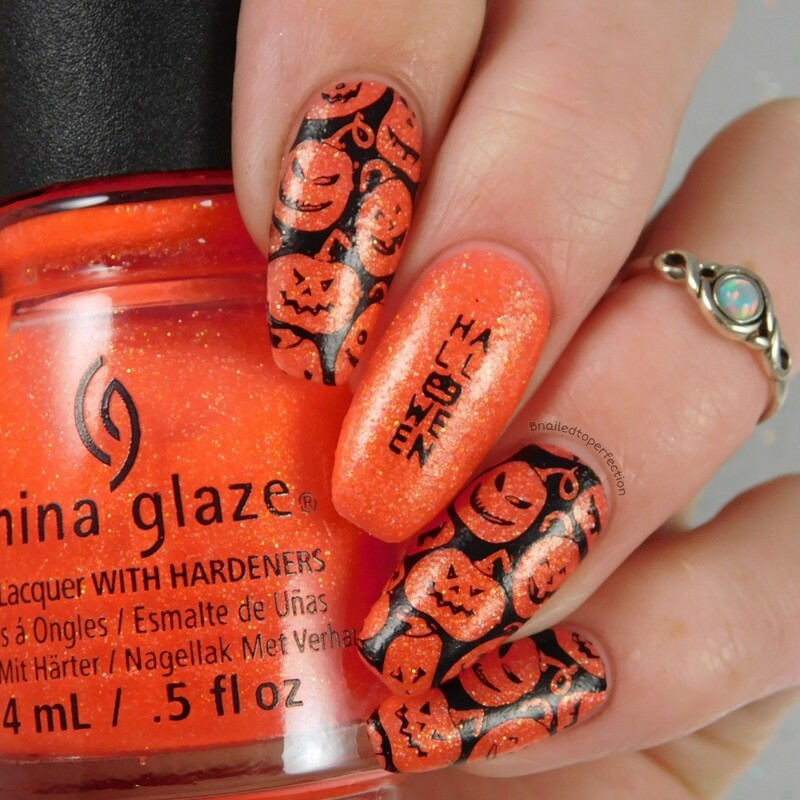 I kept my next mani more simple and went with a pumpkin kinda colour base! Papa Don't Peach from China glaze was a good match and I like how the glitter made it look a bit gritty as I didn't bother top coating lol yes I'm lazy. 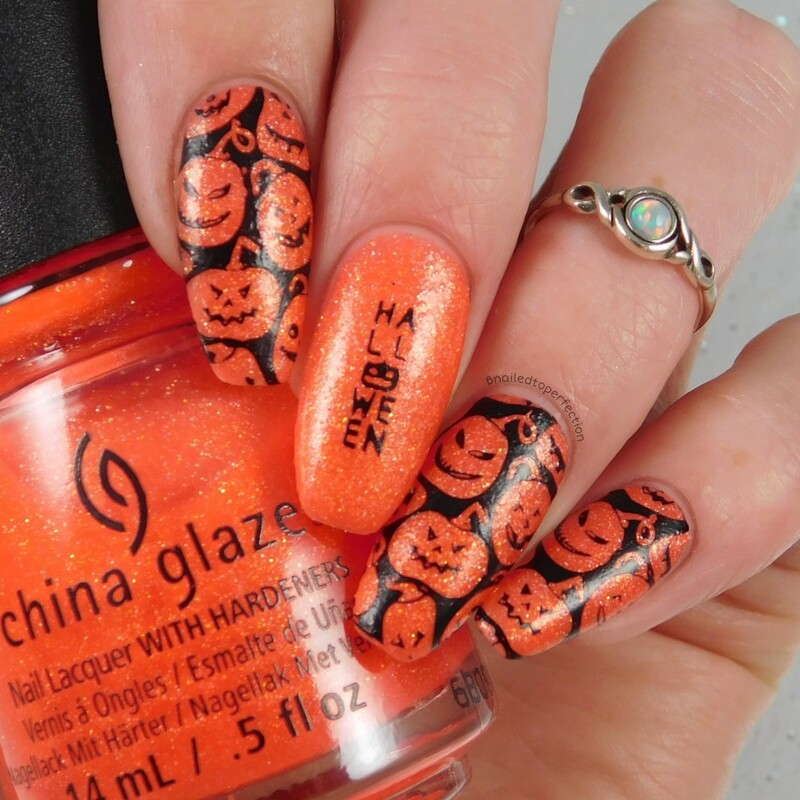 Love these images together and there are some other cool pumpkin images on the plate. 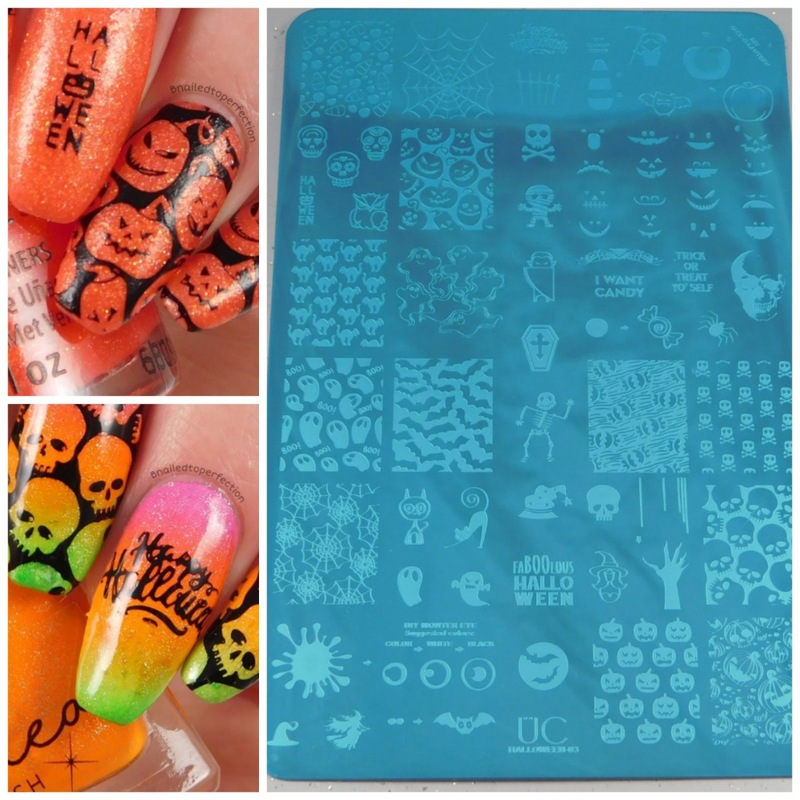 You can get Halloween 3 from Nail-Artisan for £12.25 as well as lots of other Uber Chic items.